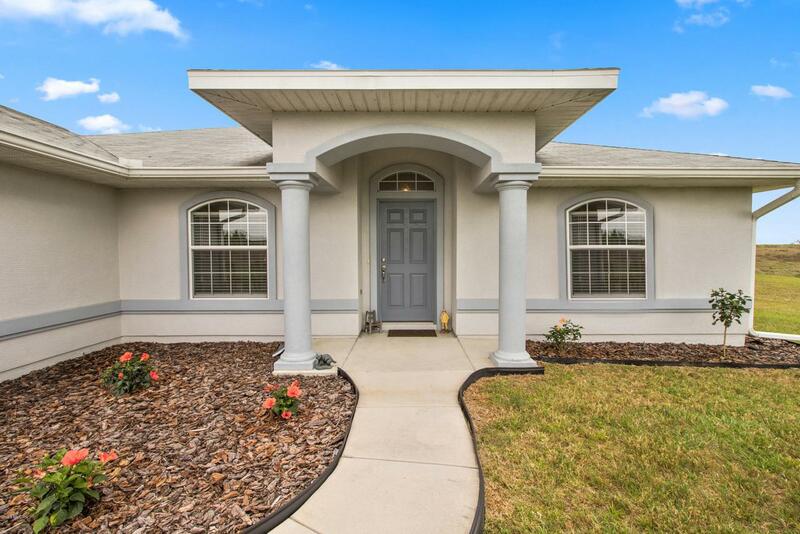 Welcome to Sunrise Ridge, a horse friendly community with beautiful rolling views in a peaceful, yet easily accessible location. 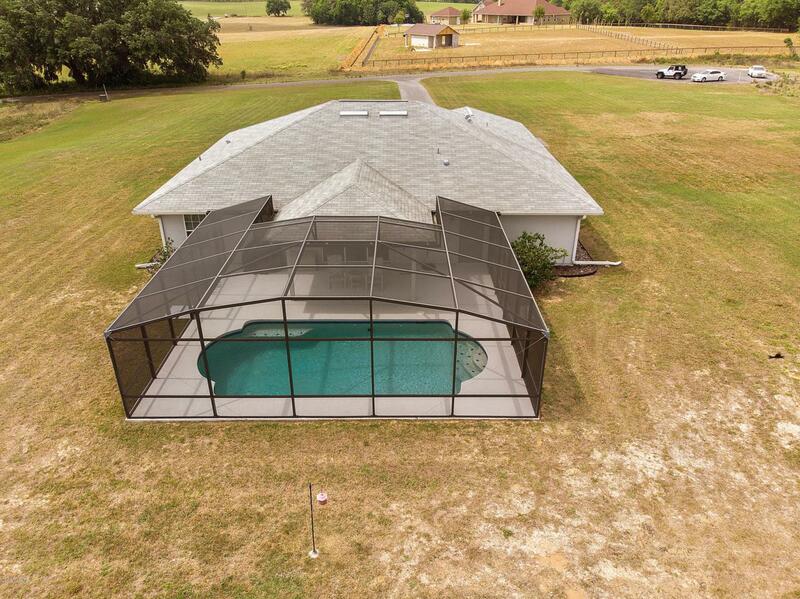 Convenient to Ocala, Dunnellon, or Gainesville, and just 20 minutes to the World Equestrian Center or HITS. 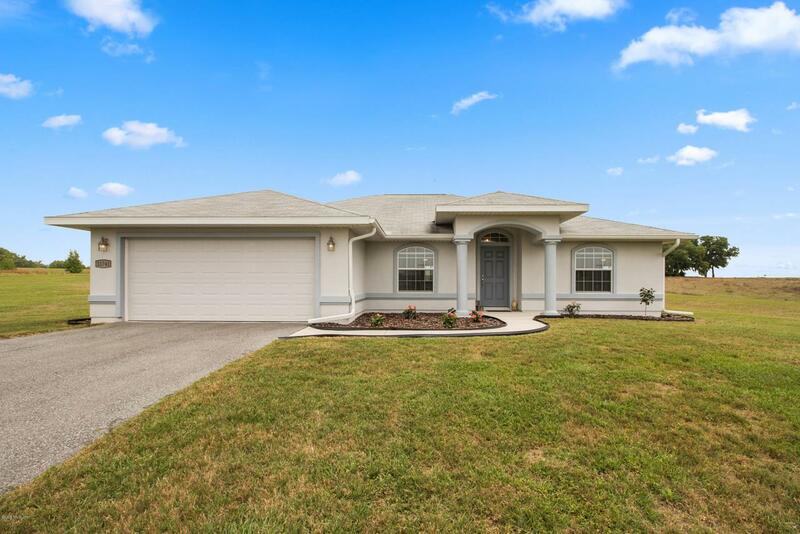 This nearly new pool home is immaculately maintained by very neat and clean owners. Featuring a formal dining room, extra office or flex room, Wellborn natural cherry wood soft closing cabinets, and a master closet large enough for the whole family! The spare bathroom doubles as a pool bath with a separate entrance to the heated pool. Picture yourself here, watching the sunset over the rolling hills, poolside with an umbrella in your drink!